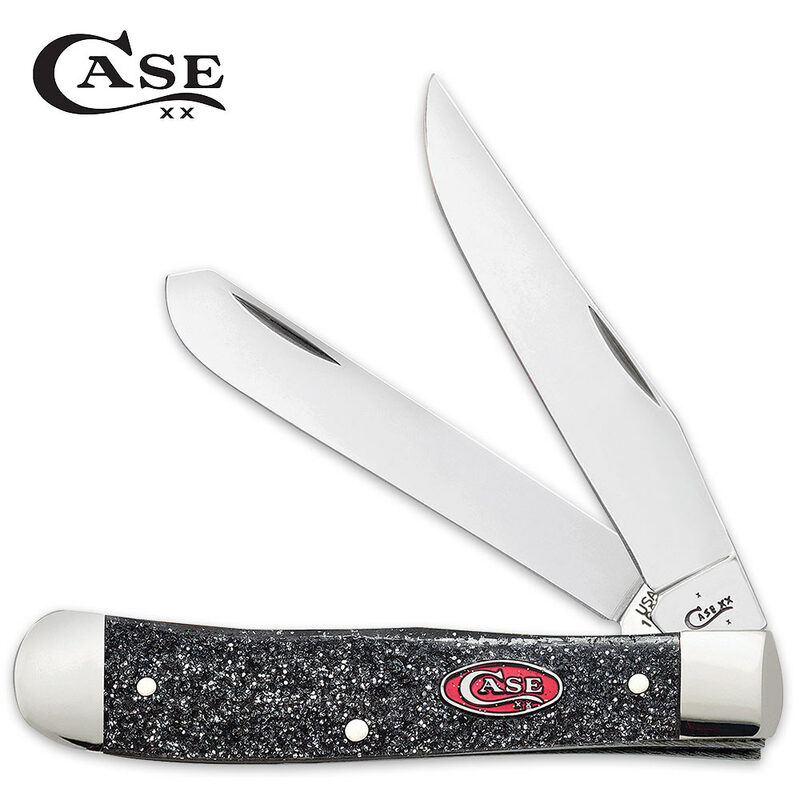 Case Silver Stardust Kirinite Trapper Pocket Knife | BUDK.com - Knives & Swords At The Lowest Prices! This lustrous handle material of the Case Silver Stardust Kirinite series of pocket knives captures the essence of a shooting star or shimmering comet. The thing about Kirinite is that no other material has the impactful style and durability of it and its bond with your hand gets better after each polishing. You’ll find it to be smooth but never slippery. The Silver Stardust Kirinite Trapper features Tru-Sharp surgical steel clip and spey blades. The pocket knife is 4 1/8” closed and is made in the USA.